Historical Society of Michigan logo (all rights reserved; used by permission). 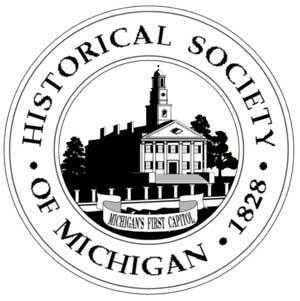 The Historical Society was established in 1828 to foster appreciation and understanding of Michigan's history and promote the collection and preservation of state and local history. The Historical Society's mission includes development of quality history publications on Michigan history (such as the Historic Michigan Travel Guide and the Michigan History Directory), conferences focusing on Michigan's past, support services for local history organizations, educational services (including Michigan History Day, educator conferences, and state history curriculum), enhancing public support for the preservation and protection of Michigan history, and promoting the collection, preservation and publication of Michigan history (including awards in these areas).